By Sadiq Umar – Former Minister of Finance, Kemi Adeosun, said she never understood the operations of the National Youth Service Corp (NYSC) but relied on trusted associates while obtaining her questionable Certificate of Exception of Service. 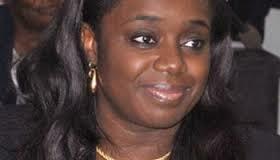 Mrs. Adeosun, in her resignation letter to President Muhammadu Buhari, Friday, said she had no reason to suspect that the certificate was anything but genuine. “Indeed, I presented that certificate at the 2011 Ogun State House of Assembly and in 2015 for Directorate of State Services (DSS) Clearance as well as to the National Assembly for screening,” the former finance minister wrote. “The President also approved that the Minister of State Budget and National Planning, Mrs Zainab Ahmed, should oversee the Ministry of Finance with effect from today,” Mr. Adesina added.